AVC’s new, cutting edge Alcon Suite recently featured in the Daily Express. Our new Alcon Cataract / Lens Exchange refractive suite is the most advanced non-laser theatre in the country. It has been described as an innovation in lens removal (cataract and clear) and described as the future of non-laser treatment. On the 1st of September in the Daily Express there was a feature (click to read article) about one of the first patients in the country to have the privilege of being treated at AVC’s new refractive suite. The story is about celebrity Michael Pattemore’s journey from suffering with cataracts to being able to throw his glasses away immediately after treatment with the Alcon Cataract/Clear Lens Exchange refractive suite that is only found at AVC. Cataracts are the cause of half of the blindness and 33% of the visual impairment worldwide. It is a clouding of the lens of the eye causing blurry and clouded vision and, if left untreated, leads to blindness. 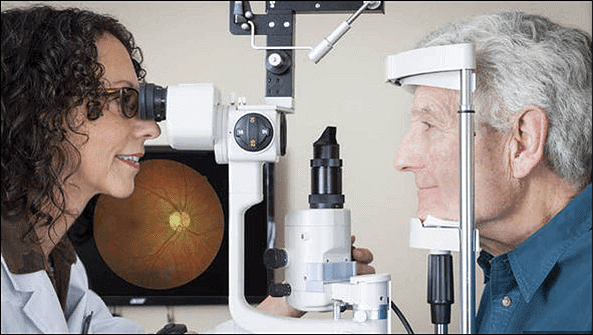 Typically, many people are forced to live with deteriorating vision until it has declined enough to be placed on an NHS waiting list. At AVC, cataract treatment can performed immediately after diagnosis to avoid the suffering caused by loss in vision and, with a choice of lenses, you can even free yourself from glasses and contact lenses permanently. The new Alcon refractive suite does not only treat patients with cataracts but can treat those over the age of 45 that have developed presbyopia, which is a reading prescription requiring a pair of glasses or varifocals for reading. Many people struggle with this change whether it is the inability to get used to varifocals, struggling with multiple pairs of glasses or even having to wear glasses on top of contact lenses. This dependency on visual aids can be ended by having Clear Lens Exchange with Multifocal and Trifocal lenses that correct near, distance and intermediate vision simultaneously. This treatment also has the added benefit of preventing the development of cataracts in the future. The Daily Express article clearly demonstrates that cataracts are not only safely treatable with a quick recovery time but are also preventable with the use of advanced technology. AVC are at the forefront of non-laser treatments and house the safest and most advanced Cataract/Clear Lens Exchange refractive theatre in the UK known as the Alcon Suite. Our patients are able to achieve the best results with treatment conducted by world renowned surgeons using the safest techniques with the most advanced equipment available worldwide. If you have developed a cataract or a reading prescription and want to free yourself from glasses and contact lenses, contact AVC to help guide you the through the process. Call on 020 7935 7497 or email on info@advancedvisioncare.co.uk.